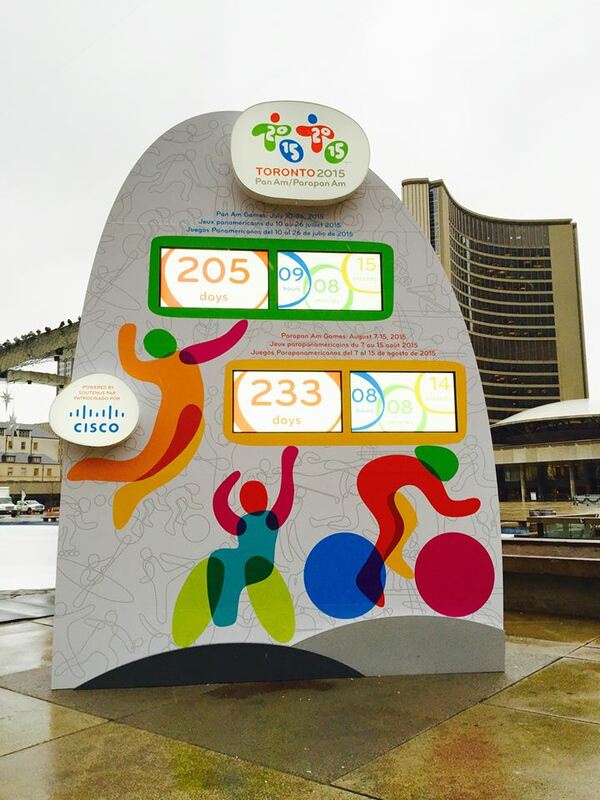 Check out this sign right out front of Toronto City Hall: one day in mid-December, there were just 233 days left until Toronto hosts the Pan Am/Parapan Am Games in summer 2015. The Pan American Games are the world’s third largest international multi-sport event; they are only surpassed in size and scope by the Olympic Summer Games and the Asian Games. I love the Olympics, and this seems to me the next best thing…bring it on! Can’t wait to see this happen in my home city. I’m sure Toronto will do the western hemisphere proud.